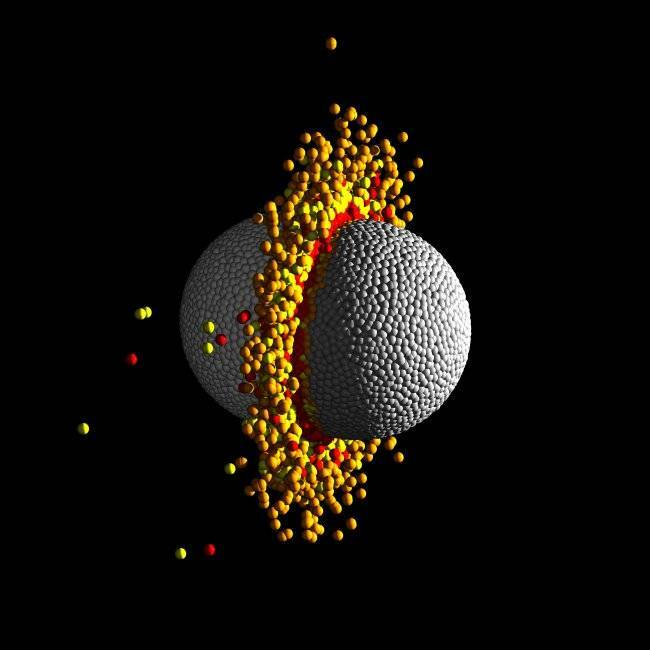 Astronomers believe they may have uncovered the first tantalizing evidence of two exoplanets that have smashed into one another, according to new research. Over short timescales, planets appear to be stagnant. Scientists have to find signs that they have undergone drastic changes that took place over millions or billions of years. They’re mainly affected by two scenarios: One where their parent star’s crippling radiation strips them of their atmospheres, and the other is having to weather the impact from crashing into other massive objects. Scientists have found many exoplanets being battered by stellar rays, but have yet to spot a collision. Now, a large international group of researchers reckon they’ve found one that bears the brunt of such an monumental accident.